Zorbing is rolling out of control inside an inflatable Human Hamster Ball or Human Hamster Zorb Wheel that stands at about 10 feet. Zorbing also includes engagement in fun physical movements inside the Zorb ball such as front flips, huge vertical jumps, and any parkour movement you think can of. It's worthy to note that bumping into a worthy opponent in another Zorb ball at maximum speed is ridiculously fun. 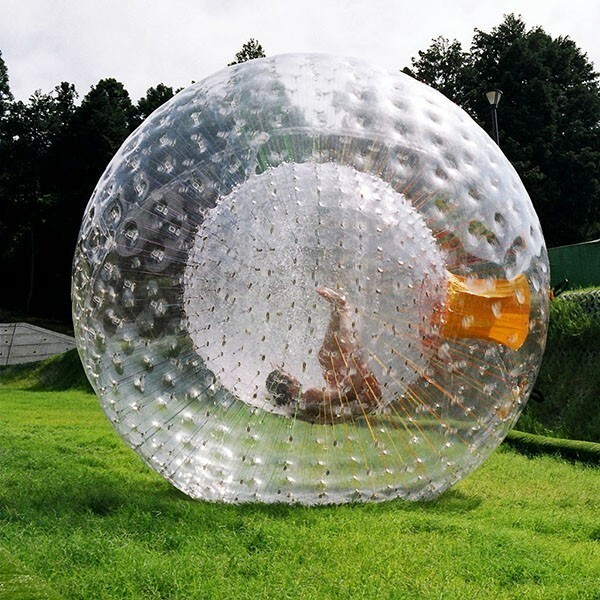 Our Zorb Wheel and Human Hamster Ball Rental in Los Angeles provides an electric experience of Zorbing. We don't just place you in a giant hamster ball and let you calmly roam like a hamster, we suggest specific locations with a nice steep hill to actually get you to roll out of control as if you're on a mini-roller coaster that's conveniently located a block away from your home. And, that's just the beginning of our exhilarating Zorbing experience that we have to offer. Here's a great video of a Human Hamster Ball being used on water. Kids as young as 6 and up to 14 are suitable for our Kid-Sized Human Hamster Balls. 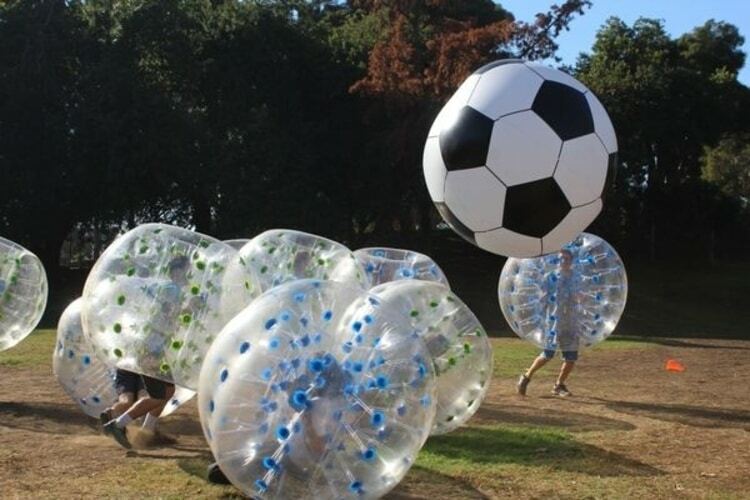 Our larger Human Hamster Balls accommodates 14+ to adults. 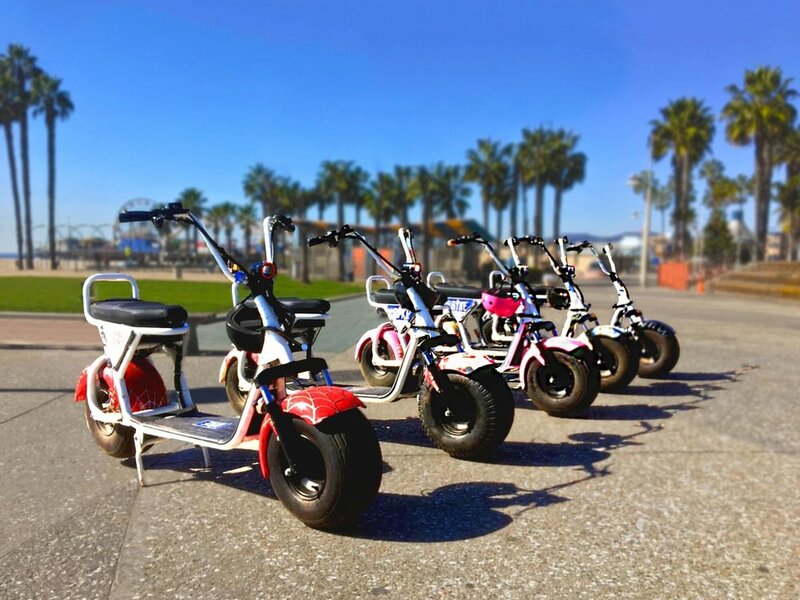 Our Zorb Wheels accommodates ages 9+. Is it our job to secure a location? Yes, it is your responsibility to secure a location for Zorbing unless you'd prefer to pay an additional fee for us to secure a location on your behalf. If you plan to Zorb in Los Angeles, ask us about a few locations in Los Angeles perfect for Zorbing. WHERE'S A GOOD PLACE FOR MY EVENT IN LOS ANGELES? Will a host stay with us? 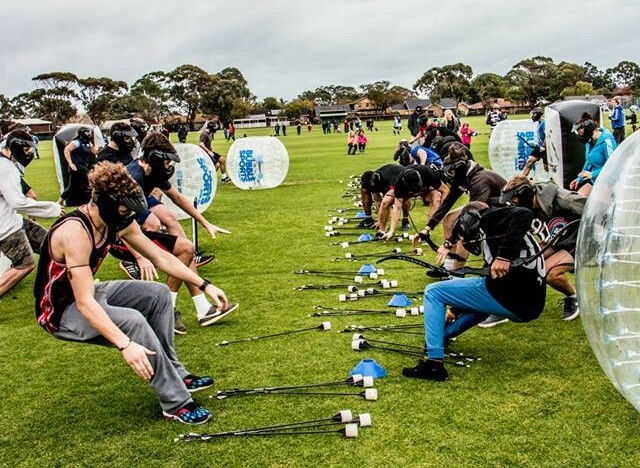 Yes, our event coordinator will setup the Zorb Balls, show you how to use them, and stay with your party to ensure safety. 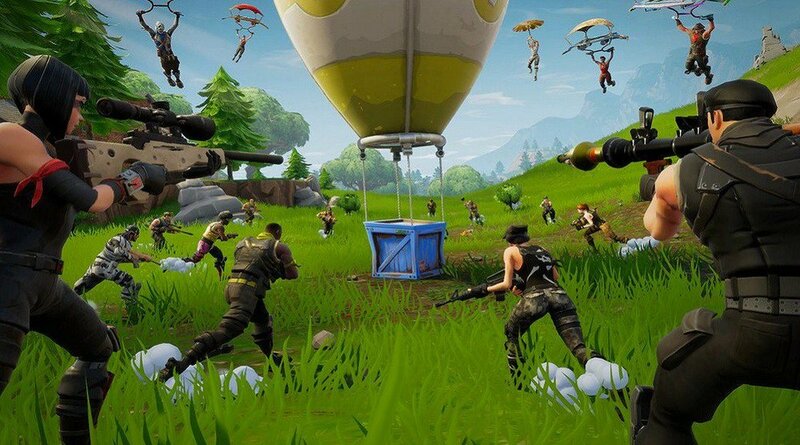 Can we add on other activities with Zorbing? For kids and teenagers, we suggest you to utilize our Nerf Gun Party, Fortnite Party, or Bubble Soccer. Thank you, we’ll promptly provide you a free quote for the amount of Zorb Ball(s) that you requested.